I know I know. 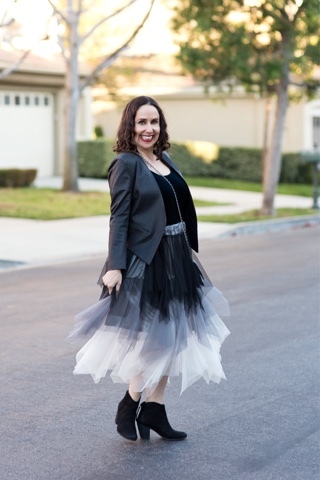 You are probably thinking, really a tulle skirt? 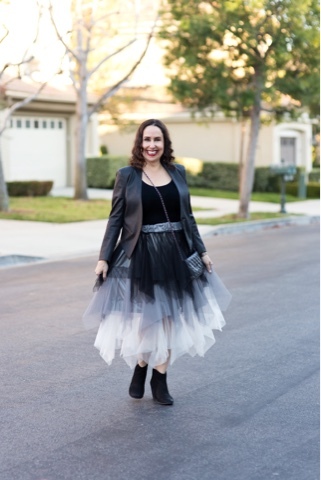 Do you really think only a princess can wear a tulle skirt? I didn't think I could pull this look off, but I'm here to tell you "yes you can"!!!! 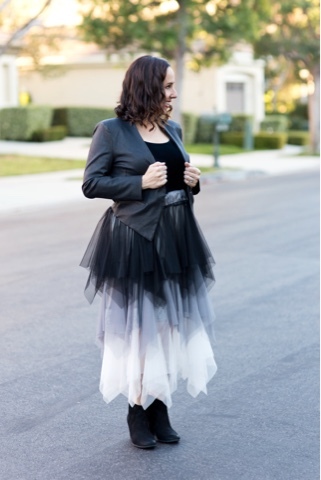 All you have to do is invest in a great statement piece like this tulle skirt and keep the rest of the outfit simple. I picked up this adorable skirt at Heather Pullis Designs. 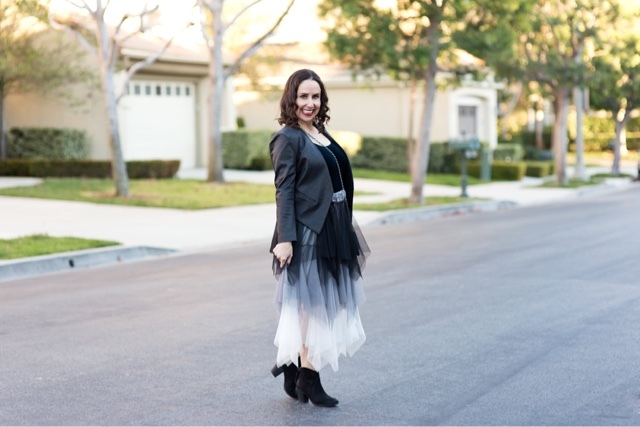 I added a basic black tank, a black blazer, my simple booties and my favorite evening bag and I was ready for a fun dinner out with my hubby and some friends. I think this look is just so fun and flirty. Can I tell you a secret? I really do feel like a princess when I'm wearing this skirt, hehehe. Thanks to Gabi Wells for photos and Happy Reading!!!! You can shop this look by clicking on the pictures below! !